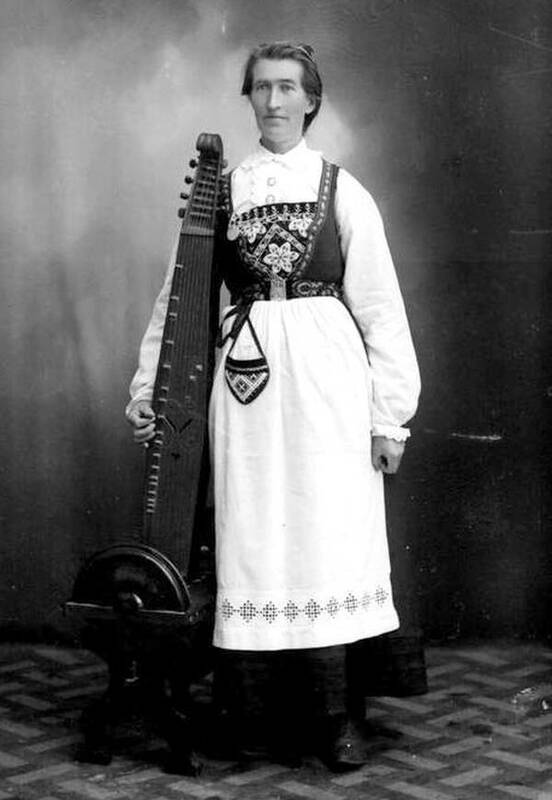 The langeleik is a traditional Norwegian diatonic zither. The langeleik typically has tall wooden frets glued directly to the soundboard, one melody string and 7 drones. Is that a relative on the paternal or the maternal side? What fun, Doug! Thank you! A great photo of Rachel Schwartz and her automatic bialy maker. Made to look like a zither, but in reality, this machine put her at odds with the Bialy Bakers Union, Local #45. The union did win out in the long run. Rachel did gig in Delaware and was told not to make bialys with her zither.